Take a look at one payroll manager’s journey to improving the payroll process of their organization. Every organization faces their own unique and complex challenges when it comes to their payroll needs. Payroll is so much more than processing paychecks, with constantly changing rules and regulations there is a lot to stay on top of. So, how does a payroll department handle it all, for a growing organization? Best-in-class payroll solutions can address all assist in staying on top of changing compliance regulations, processing paychecks, and more. Discover how these tools have helped RMH Franchise Corporation, operator of more than 175 Applebee’s locations in 15 states. 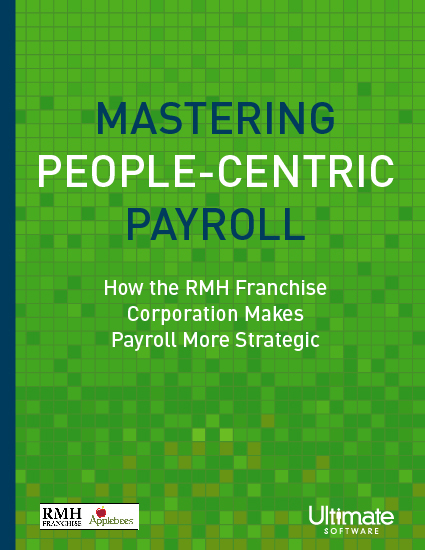 Mastering people-centric payroll has enabled them to successfully traverse the payroll solutions landscape to identify the tools and processes that empower them to fulfill the payroll needs of their 10,000 employees. Please fill out this brief form to access your payroll whitepaper.